From Business Monthly October 2018 issue: "A leader is someone who makes an impact or shapes how people act or how things occur—an agent of change. Making and selling wine is a multi-faceted endeavor led by those brave enough (or crazy enough) to pave a new way forward, inspiring generations to come. There are different ways to be a leader. Some of the leaders on this list have discovered new ways of doing things: new ways of marketing, tapping into trends and building brands. Some were entrepreneurial. Others developed a specific expertise; found niches or rallied behind causes they believed in. All of them are leaders in the North American wine business. When Wine Business Monthly created this list, we wanted to acknowledge the multitude of leaders shaping the industry today." 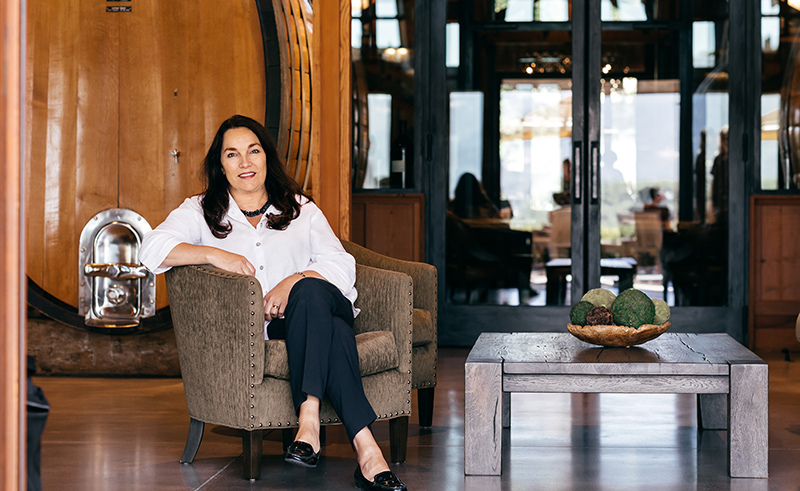 Global leadership experience for luxury wine Clarice Turner was appointed president at Joseph Phelps Vineyards this year, bringing extensive experience with food and beverages. Prior to joining Phelps, she ran a strategic advisory firm guiding vision, strategy and culture for businesses in transition. She is an advisory board director for Delicato Family Vineyards, serves on the Culinary Institute of America Society of Fellows, is the advisory board director for Women of the Vine & Spirits, and Emeritus board director for the National Restaurant Association. Turner was involved in bringing wine to Starbucks as senior vice president of the north division of Starbucks Corporation.